Edited by W. Pruitt, translated by K.R. 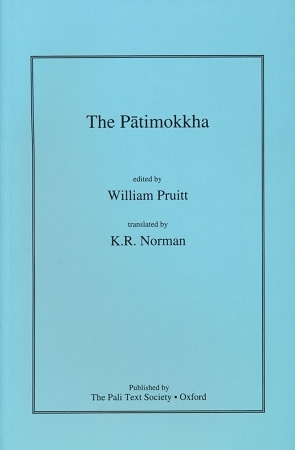 Norman.The patimokkha contains the rules of the conduct for Buddhist monks and nuns, and consists of two sections: the Bhikkhu-Patimokkha and the Bhikkhuni PatiMokkha. English translation is published with the Pali on facing pages. This book, Patimokkha, has undergone some corrections by the Pali Text Society. View the list of corrections here.